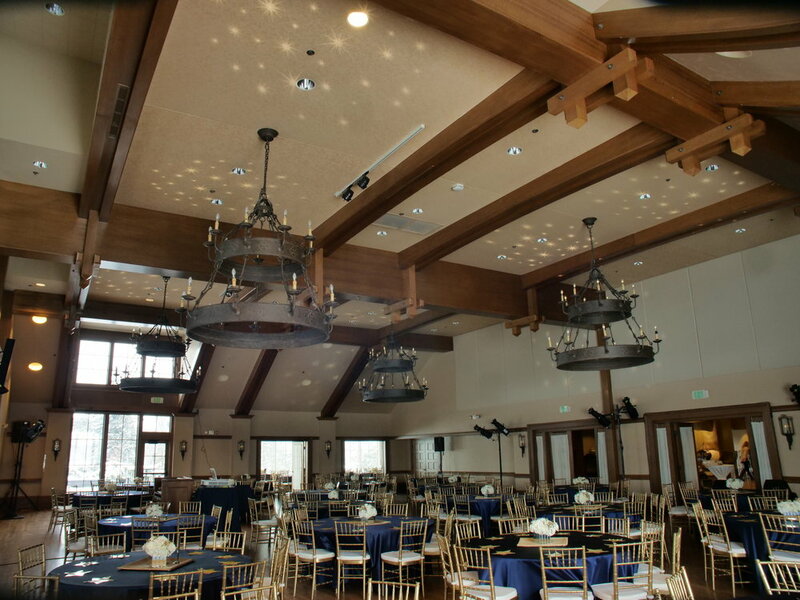 AV for You provided lighting rental equipment to produce a Starry Night effect on the ceiling of Interlachen Country Club in Minneapolis, MN. For lighting rental equipment we set up twelve Chauvet Ovation E-910FC LED Lights on schedule 40 pipes. 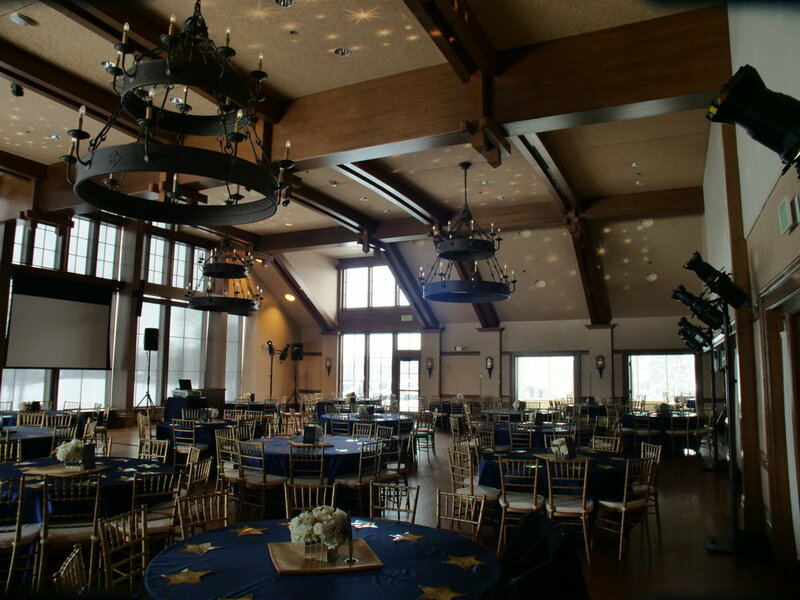 We used gobo’s to produce the starry night effect.